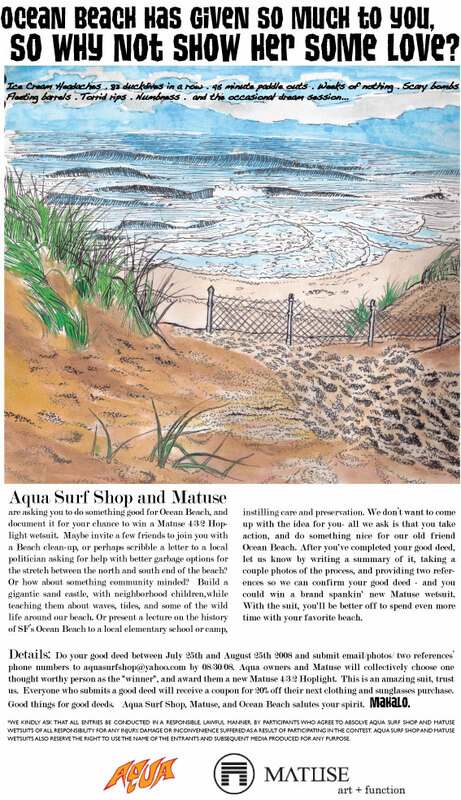 something good for Ocean Beach, and document it for your chance to win a Matuse 4/3/2 Hoplight wetsuit. elementary school or camp, instilling care and preservation. even more time with your favorite beach. Shop, Matuse, and Ocean Beach salutes your spirit. the right to use the name of the entrants and subsequent media produced for any purpose.